There are many wonderful things about ebook self-publishing that make it attractive to writers. 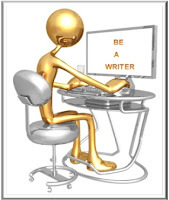 An obvious one that comes to mind is that the writer can minimize what stands between him and the reader. I’m talking logistics, of course, as well as time delay. One can consider a situation where event X occurs in the real world and there’s an ebook about it only a few weeks later. After finishing a manuscript (MS), the delay needed to reach the reading public is minimal. Legacy or traditional publishing cannot match this kind of turn-around. There are too many steps involved in that process—agents, slushpiles, editors, proofreaders, marketing and PR, and distribution. I suspect the delay between finished MS and readers is more like a year, not weeks. One can debate which system delivers the best product for the reader. Some of that discourse depends on what the reader expects. 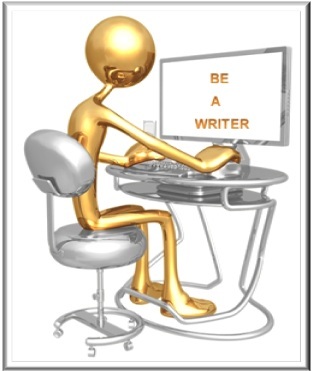 The “writing business” is a misnomer in many ways. “Reading lovers’ entertainment” is better. This parallels “music lovers’ entertainment” and “film lovers’ entertainment.” “Reading lovers” emphasizes that the products are directed to people who love to read; “…entertainment” emphasizes that the products are meant to entertain. I’m speaking about fiction, of course, but there is no reason why a lover of reading can’t also be entertained by a good non-fiction book (I am such a reader). In fact, readers rule in this entertainment industry. As a consequence, an author has to realize that every reader is different. Whether a book becomes a bookseller because of some lemming-like mass psychosis (the Fifty Shades trilogy comes to mind), or because it was released at the right place and right time (Harry Potter comes to mind), or is the best literary offering since To Kill a Mockingbird (no recent book comes to mind), the reading public are the consumers who determine the success of a book. Any author who tries to predict the future and bend with the stormy winds of literary fashion is crazy. Writers should write the stories that come from the core of their creative being—if they resonate with readers, that only means that other people enjoy his stories. This is where minimizing steps between writer and reader comes in. Authors might be obsessive-compulsive nerds like Jack Nicholson in that famous film As Good as It Gets, but they still seek that resonance with readers. Why write otherwise? In the old days where readers were few, the storytellers were vocal bards who entertained their listeners, perhaps using a lute as accompaniment. There was even some of that in the old radio shows. Orson Welles will probably be remembered for scaring the hell out of people with The War of the Worlds broadcast long after people remember him as an actor (of course, Citizen Kane was not too shabby). Today, it’s clear that ebooks and the digital revolution in publishing are approaching that vocal tradition by minimizing the steps between writer and reader, inasmuch as the internet permits. Note that I emphasize storytelling ability. I don’t care how polished a book is, if there’s no interesting story, I won’t read it. I assume many readers react the same way. In fact, as a reviewer, I’m willing to forgive and forget some errors in writing technique, formatting, and cover art, as long as the writer has entertained me with a damn good story. I’m currently reading yet another Ian Rankin mystery novel. The ebook formatting is appalling, but the John Remus stories are always damn good (I remember that I originally had to get past the Scottish English—probably a similar learning process to a Scot reading an American novel). Of course, I doubt that Ian cares whether I forgive his publisher. So, you, the writer, have a whizbang story to tell in your MS? There are still steps that must be done before I’ll let you take pride in your accomplishment. While ebook self-publishing allows a writer to take a first draft of a novel and turn it into an ebook, achieving resonance with readers might be very difficult in that case. But some writers don’t have first drafts (I don’t—word processing software allows one to continuously write and revise all the way through the MS). So let’s call it the final draft before ebook formatting. There’s still polishing to perform—you might still call it writing, but I call it polishing. I’m talking about things like an overuse of adjectives and adverbs (I like my writing to be lean), bad dialog, orphan clauses, POV lapses (I’m my worst enemy there, because I shift it around a lot), character description errors (Sue is fat and brown-haired in Chapter Three and anorexic and blond in Chapter Forty), and so on. We all make some of these mistakes some of the time—some of us lots of the time. No amount of good formatting will fix these lapses. You have to do it yourself, or, with the help of a professional editor. I say help, because only some of these individual quirks of an author can be spotted and fixed by a good editing pro, and the author might not like the final result. Ever have your MS start reading as if it were written by another person? I’ve always been my worst (or. should I say, best?) critic—I know my quirks, have lists of them, and can search and fix them. I even use a grammar checker—it tends to help with that “narrative passive” many agents complain about, otherwise known as overuse of the passive voice (I don’t worry what agents complain about anymore—they’re out of my life). The tools built into my word processor tend to become annoying for the reasons mentioned above. Some author once said that if he wants to break a rule, he is damn well going to do it, come hell or high water (this is not a quote—he probably didn’t use a cliché). Let’s face it—ordinary speech has split infinitives and prepositions at the end of sentences. Too many rules like this are arbitrary, made-up handcuffs and straitjackets real writers can thumb their noses at. A good writer develops his own style. Part of the sweet mystery of good storytelling is that there are so many different ways to do it. The other essential element in preparing for your final ebook formatting is the cover. I don’t know about you, but my writing abilities are infinitely superior to my artistic abilities (that’s an easy estimate, because any number over zero is infinity, and I have zero artistic abilities). You can still pass on some ideas to your cover artist, but otherwise, stick to writing and let the professional artist design your cover. I’ve generally been pleased with all my covers (and think the worst ones were those where I had too much input). That’s all that needs to be done between writer and reader nowadays. A damn good story, careful and commonsense editing, and a good cover—and you’re ready to go. Of course, when your ebook is released, you have to hope readers sit up and take notice. That’s hard to do because how easy it is to release an ebook implies many people are doing it. It’s a reader’s market, not a writer’s. Readers will reap the entertainment rewards of discovering a new, bold universe of books—some bad, some OK, and some damn good, but all reasonably priced.